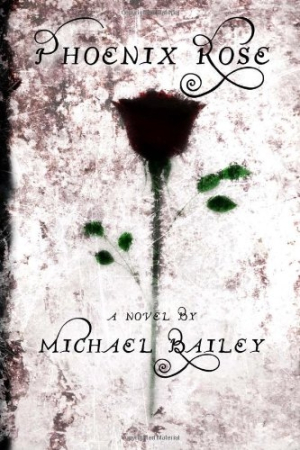 In this follow up to Palindrome Hannah, Michael Bailey tells horror stories about what happens when humans, nature, and spirits collide in the town of Brenden, Washington. The prologue opens with the ominous image of William Hillcrest’s self-mutilation scars. He goes through an eerie encounter with Dr. Milton: William insists it is only their second meeting, while the doctor knows step by step what William will say. William, it seems, has tried and tried to kill himself, but his efforts are continually thwarted: paper clips in the razor blade box and Mike and Ike candy in the gun. The question is, who is doing this? While it feels at first that Dr. Milton has the upper hand mentally, readers are haunted by the image of him thumbing through blank pages that he feels certain once held his notes. Patient, doctor, and reader all want to unravel the mystery of the rose tattoo that seems to torment Hillcrest. The next part of the book abruptly leaves Hillcrest and Milton behind, showing a family gathered around for the birth of their horse’s foal. The warm, educational family moment is soon drenched in blood, leaving the horse dead and the family’s young son, Todd, in the hospital fighting for his life. Here, as with the prologue, the tone is one of desperation. Subsequent sections tell stories of undead characters and humans mauled by dogs. Each piece of the novel leaves readers suspended, waiting. And even when the book returns to a storyline, there is little closure. Bailey deftly weaves suspense and startling imagery into compelling scenes in a circuitous narrative that seems to echo the mental landscape of many of the characters. Each scene is clear, but rather than give readers an overarching plot, Bailey offers a thorough sense of doom. The frequent use of short chapters gives the book a fast-paced but offbeat feel that complements the story. In some sections, chapters alternate between the earthly world and the spirit world, contrasting the novel’s events from the two perspectives. Bailey’s narrative deeply explores the forces of evil inherent in the world and the darkness that comes when man and nature interact. He uses the common thread of mortal and near-mortal wounds to explore the irreparable nature of injury and the incompleteness of healing. Readers who like a neat beginning, middle, and end to their suspense will be frustrated by Bailey’s approach, but those who want to be steeped in the depths of terror without a clear escape will find Phoenix Rose spellbinding.